Systagenix Adaptic Non-Adhering Silicone Dressing - flexible, open-mesh primary wound contact layer comprised of cellulose acetate coated with a soft tack silicone. The soft tack Silicone assists dressing application, prevents adherence of the secondary dressing to the wound and is atraumatic to the wound and surrounding skin. 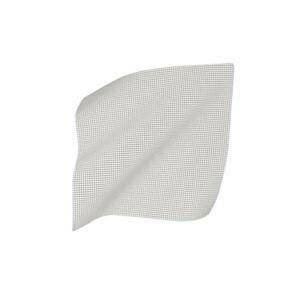 The open mesh structure allows free passage of exudate in to an absorbent secondary dressing. Adaptic Touch Non-Adhering Silicone Dressing helps protect the wound while minimizing patient pain and trauma on removal and at dressing change. Flexible - Atraumatic to the wound and surrounding skin - Allows free passage of exudate in to an absorbent secondary dressing.